First pick of Ceres Carson is complete in the Modesto/Madera area, and the second pick should finish up around the middle of this week. Fruit size was good as expected. Loadel harvest started on July 3rd, which is 8-days later than last year. Volume will increase later in the week as more growers begin picking their Loadels. The forecast is showing warmer temperatures in the coming weeks, but nothing like the string of high triple digits days we had a couple weeks ago. 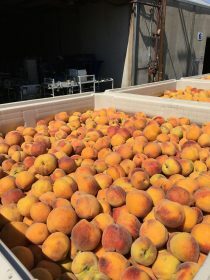 Organic harvest continues and the first pick of Loadels started on June 30th. Organic harvest will increase in volume this week. Cooler temperatures in the Yuba City area have been a blessing. However, the high temperatures from the other week slowed growth and the Extra Earlies are changing color and starting to ripen. Size will be an issue in the Loadels. A few growers think they may start picking Loadels at the end of this week. Most growers indicate they may start the week of July 10th. At their June 15th meeting, the Association’s Board of Directors decided on new payment terms for No. 2 peaches, penalties for excessive amounts of small fruit, and elimination of the 3% constant tolerance for other general defects. Fruit continues to size in the River and Linden Districts; variation in fruit sizes can be seen on the same tree. Some fruit is just over 2 inches, while other fruit on the tree can be up to 2.5 inches. Linden fruit is close to the same size as on the river, just a tad bit smaller. 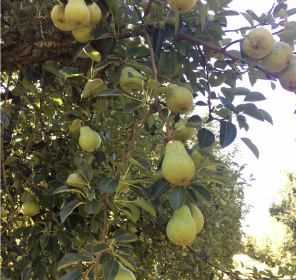 There is still a lot of fruit on the trees throughout both districts. The crop continues to look good in the Mendocino and Lake Districts. Variation in fruit sizes can be seen throughout the orchards in these districts as well. Preliminary sugar samples will be taken this week in Bakersfield. This will help us determine our start date. 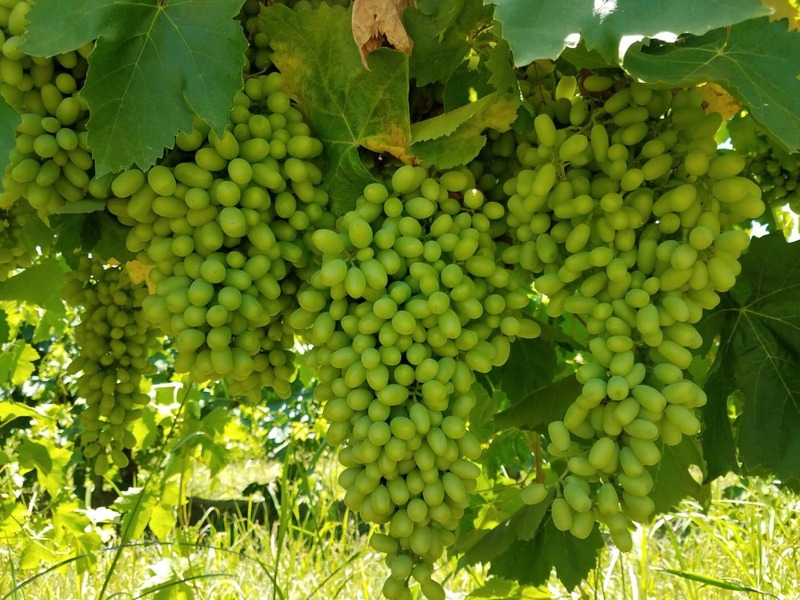 The recent extreme heat had a negative effect on vineyards in Madera and Bakersfield. 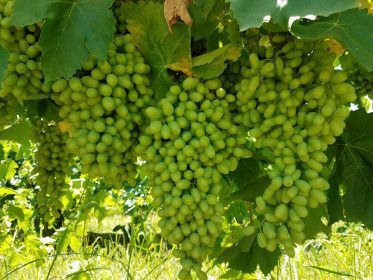 Sun damage can be easily seen throughout vineyards on bunches exposed to direct sunlight. 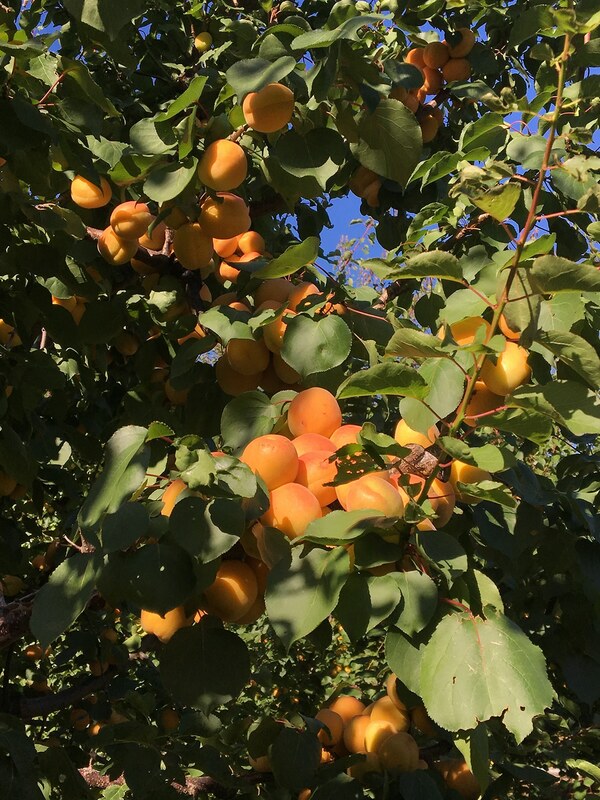 Apricot harvest finished up on June 27th. Most growers came up short of their original estimates. Only two growers reached their PCP membership tonnage. 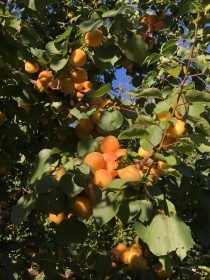 The short crop has impacted all players in the apricot industry. On the bright side, size and quality of the fruit was very good. Organics – The crop looks good and the fruit is maturing as expected. At this point, we are waiting for the fruit to turn red. Estimated harvest date is about four to six days away. 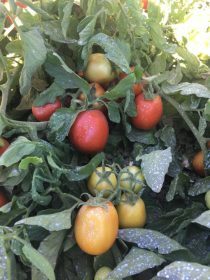 Pear Tomatoes – The pear tomato crop is also maturing nicely. We are estimating harvest to immediately follow the organic harvest. Conventional Tomatoes – Our conventional tomatoes are looking good and healthy. The plants and fruit are progressing as expected. The Northwest cherry crop is shaping up to be a record. Harvest this year started June 10th and goes to the end of August. The quality is good – with nice size and flavor. The June rain caused some rain cracks in the early varieties, while the later varieties are very good quality. 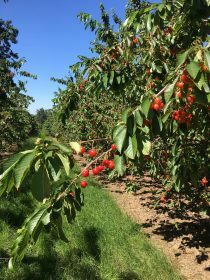 The return to a more normal weather pattern spreads harvest over more days and allows for a more orderly harvest for picking, packing, processing and marketing the crop. New production started in early April but they are off to a slow start. The initial harvest of oysters is weak with raw materials being on the smaller size. Packers forecast that raw material size and volume will improve by early May. 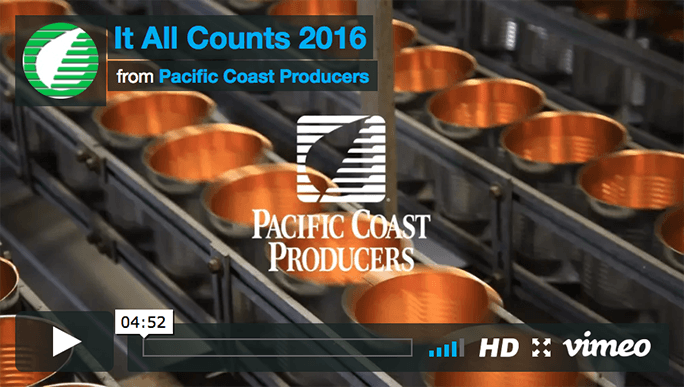 Overall, growers and production facilities are forecasting similar volumes to 2016. Oyster harvest is March through July for both Korea and China; boiled production is March through May and smoked is June through July. Our mandarins come from the Zhejiang and Hubei Regions. Zhejiang is one of the most densely populated and affluent provinces in China. Zhejiang is among the leading Chinese provinces in farm productivity and leads in the production of tea and in fishing. The Province area is 101 thousand square kilometers and has a population of 54.43 million people. Hubei, a province with numerous rivers and lakes, has been called the “land of thousand lakes”. Hubei has been said to be one of the originating places of the Chinese people. The Province has an area of 180 thousand square kilometers and a population of 57.24 million people. The average mandarin fruit cost in Zhejiang is higher than the initial projections and the average fruit costs in Hubei are relatively in line. The fruits output dropped 40-50% in Zhejiang, and the fruits output increased by 40-50% in Hubei, which are in line with estimations (the Zhejiang province exports 67% and Hubei exports 4%). The fruits in Zhejiang were soft and loose before December, so almost all Zhejiang factories bought fruits from Hubei until late December. Beginning in 2017, Zhejiang factories began to use local fruits. 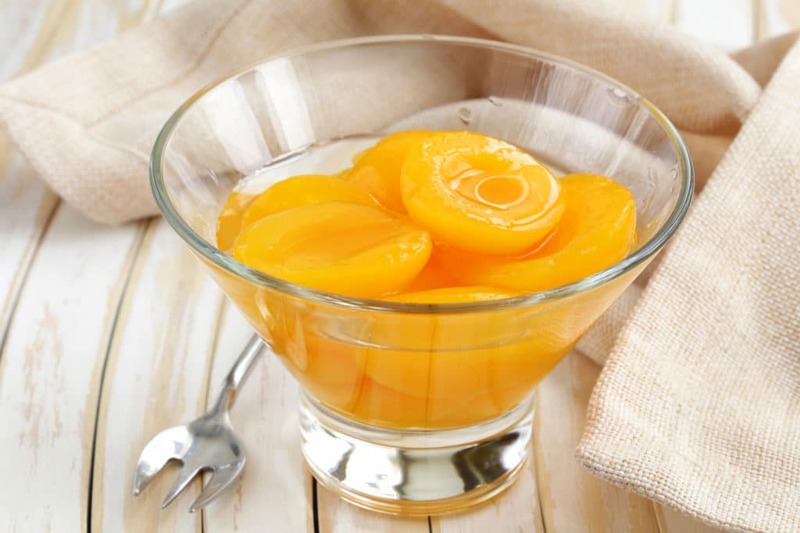 Canned Mandarins are by far the most canned exported fruit from China (peaches, pears, lychee, pineapple and cherries are also exported from China). Mandarin Orange harvest is middle of October through January. Production: Pineapple in Thailand grows year-round. However, the volume at this time does not support a year-round production. The Thailand summer production is March through June; Thailand winter production is the middle of September through February. Indonesia production is year-round with a one month break in July. Thailand Crop Update: Less than a year after the end of El Niño, weather forecasters around the world are predicting that it may come back and cause a drier-than-normal condition in Southeast Asia to develop around July to August and last through the end of this year. The 2016 winter crop has almost ended and the quality of raw material did not improve. The fruit was immature, un-ripe and small in size with high nitrate levels and low recovery percentage (solids and juice). If El Niño were to return for 2017, it will dry up the Thailand crop output, especially the winter crop output.